Geroge and Verona are not new to organizing reunions. Over the years they have hosted several reunions in Tarpon Springs. Every year they do an outstanding job and this year was no exception. I am sure that everyone is real proud of the way our 50th Reunion turned out. Certainly, we are justly proud of the way the finished product turned out. From the beginning ‘til the final product, it was a joint effort by a lot of people that made it a real success. Our thoughts were that this is the “Big Five-O”, the one that comes once in a lifetime. With this in mind we went all out. Our main problem was that we have always had special reunions. Something extra was always added to make it above the average. With this in mind, from the beginning it was a real task to produce that Special Event that would make our 50th Reunion long remembered. We felt that for this special time we needed a small memento as a keepsake for everyone to have, to commemorate our 50th Reunion. Our resources were limited, but we wanted something real nice. Susie Pidsosny was the answer to our prayers when she found the key ring. It fit the bill perfectly. It was within the price range we could afford, was classy looking, durable and something you could use everyday. Bless her for finding it and we are most grateful to her. Susie and Rick figured out the packing and mailing with a lot of class and it contributed a lot to the overall success of the anniversary mailing. Thank you both for your efforts. God Bless. We knew from the first that George and Verona would do it up fine, with the planning, the program, the food, the motel accommodations, and a taste of Greek Culture and especially a taste of Greek cooking. The Friday night meal was a real barbeque buffet with all of the trimmings. It was wonderful and was most appreciated. All this led up to the seated banquet on Saturday evening, a fitting climax to a wonderful week of festivities. Everyone had a wonderful time. It was also a very serious time especially for those of us who are older, with the ever present thought that “This may be my last one:” I’m sure everyone in attendance felt most fortunate to be one of the ones who have made it to the “Big Five-O”. Thank you God Father for letting me associate with these fine people for so many years and I respectfully ask for as much more time as you can spare me. The Flower Fund was a real success once again. Not only does it give us money to distribute to the survivors of our men as a fitting memorial to their many years of service, but in doing so we offer pleasure to the raffle winners and to the people who sold the tickets and to the loving hands that make and distribute the raffle prizes. We don’t have to ask if it is a successful venture, you only have to look at the way people contribute their time and efforts and the way everyone looks forward to the raffle each year. It is a wonderful feeling to be a part of a successful project for so many years. This has been one of the best attended reunions! This is spite of the fact that we have less people to draw on each year due to illness, death and our advancing years. Thankfully the widows, children and other relatives have taken up the slack and we have been able to keep our attendance up to a good operating level. We are blessed with a group of people who have been helpful in every way. Some of our people have never been able to attend a reunion, but look forward to receiving all the information on the battalion and to reading it all and doing anything that is asked of them. Our financial situation had remained sound, because you have been most generous with your financial support and extra contributions. As for next year’s reunion we feel it will be necessary to go north, to give those men and their families a chance to attend. Hopefully by switching locations from north to south every year we can accommodate as many of our members as possible. Prior to this year’s reunion we were in the process of making arrangements to return to Lexington, KY., in 2004. We were in contact with the Continental Inn and Ms Deb Reddy had worked up a proposal to submit to you for your approval. The Continental was sold very unexpectedly and her job was terminated. Up until ten days prior to the reunion when we found out about this we felt we would have a proposal to give to you at the reunion in Tarpon Springs.. I finally got someone on the phone from the Continental Inn and they promised to send me a proposal to present to you at the business meeting. When it did not come, I called back and was told it was in the mail. I did not receive it so we did not have a firm proposal to present to you in Tarpon. Lining up a hotel may sound easy but “it don’t work that way”. First of all, the price of hotel rates has really gone up. Second, the way we operate our hospitality room doesn’t agree with most hotel procedures. We like to buy our own drinks and food and control the serving at a small cover charge as part of registration. Most hotels won’t go for that because they make a good profit on the hospitality room. We have to give a guaranteed number and sometimes it is too high for us. 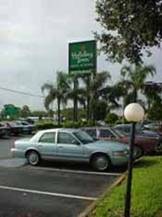 Since our meeting in Tarpon Springs we have been able to make arrangements for the 51st Reunion to be held at the Continental Inn in Lexington, KY. The dates for the reunion are August 4-8, 2004. We were able to get about the same setup as we had for the 49th. We have settled all the important details and we will sign a contract in the near future. When all the details are finalized we will pass it along. The only thing we were unable to get was airport pickup which the Continental Inn does not provide. Excellent taxi and limo service is available at the airport. I think we were extremely lucky to get what we wanted and still be able to hold the cost down to what we paid in 2002. We are not buying a pig in a sack because we have had quite a few reunions there and the accommodations have always been very satisfactory. I would be derelict if I failed to tell you that taking care of your needs has been a rare privilege and a great honor for which I will be eternally grateful. I do not have the words to express my feelings about this and it will always be “right up front” in my thinking. Let me hear from you and maybe we can improve a bit. Let me know if you would like the newsletter different. Thanks again and God Bless. Photos of this year’s reunion can be viewed on Ofoto, A Kodak Company. Click here to view photos.